HOW IS CAFFEINE RELATED TO HEADACHE? Headaches are a common occurrence and everyone gets it from time to time. Whereas caffeine is present in everything we eat and drink on a daily basis. Now, is there a connection between caffeine and headache? It is always possible that this very caffeine may be cause and cure for our headache. Whenever the head hurts or you get a headache the search is on for some sort of immediate relief. It can be a stress induced headache or a chronic migraine but taking some caffeine gives instant relief. Exactly why, caffeine is an ingredient in most of the popular pain relievers. At times a little bit of caffeinated drink can stop the pain in its tracks. 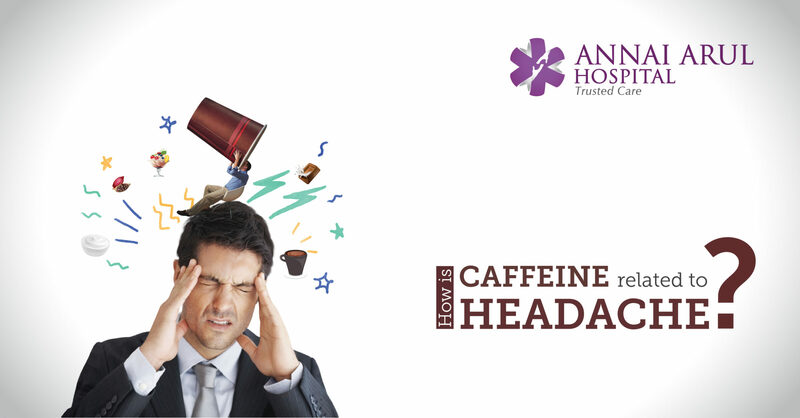 A special kind of headache known as the hypic headache responds very well to caffeine. These is kind of headache that strikes older people and they wake up in the middle of the night with severe headache. Doctors are known to advise such patients to have a cup of coffee before retiring to bed. Strangely, what makes caffeine effective as a pain reliever is exactly what causes the pain in other cases. Caffeine usually narrows the blood vessels that surround the brain to control pain, when you stop taking it the blood vessels expand again, this causes severe pain. There is something called the withdrawal symptom. The body gets used to the effects of caffeine and when you don’t have it in the system, you experience withdrawal symptom. The headache you get is one such symptom. This usually happens when you have caffeine regularly, like one cup of coffee ever day. Caffeine also plays a part in what is known as medication overuse or rebound headache. When you take too much of a pain reliever often, there is always a risk of medication overuse. Finally when the medicine wears off the pain returns with renewed force. When there is a combination of caffeine with pain relievers, this can easily happen. What can be done to balance caffeine effects? Always be aware of the effects of caffeine and control how much you drink or eat substances with caffeine. When you get persistent headache or attacks of migraine then you should cut down on caffeine or stop it altogether. For example, if you are having 2 cups of coffee along with your breakfast, try to reduce it to 1 cup. This should be done gradually because a sudden stop would result in withdrawal syndrome. Try to remember what give you relief when there is an attack of headache and keep a record of it. Getting a good night’s sleep and drinking plenty of water is recommended. Usually a nutritious diet and regular exercise can go a long way in cancelling out a caffeine induced headache. Managing stress, certain relaxation exercises, meditation and body massage or head massage can be a good remedy instead of using caffeine.